The access control market is expected to grow from USD 7.5 billion in 2018 to USD 12.1 billion by 2024, at a CAGR of 8.24% from 2018 to 2024. The growth of this market is mainly driven by high adoption of access control solutions owing to increasing crime rates globally; technological advancements and deployment of wireless technology in security systems; and adoption of IoT-based security systems with cloud computing platforms. The adoption of access control as a service (ACaaS); implementation of mobile-based access control; and increasing urbanization in emerging countries are the major opportunities for the growth of the access control market. However, high cost and perception of unreliability restrain the market’s growth. The access control market for the residential vertical is expected to grow at the highest CAGR from 2018 to 2024. In smart homes, access control systems are used to enhance security. The key factors contributing to the growth of this market include the rise in crime rates, ongoing technological advancements, increasing need for hazards detection such as fire and gas leaks, and ensuring the safety of children at home. The growing smart home market will lead the demand for access control solutions in the residential sector. North America is expected to hold the largest share of the access control market during the forecast period. Increasing cyber and malware attacks in the region have compelled several governments and security agencies to enhance security features in their transactions through the deployment of RFID and biometric technologies, which is further contributing to the overall growth of access control market. The presence of key players is another key factor for the growth of the access control market in this region. This report offers detailed insights into the access control market, segmented based on component, service, vertical, and region. By component, the access control market has been segmented into card-based readers, biometrics readers, multi-technology readers, electronic locks, controllers, and others. By service, the market has been segmented into installation and integration and support; and maintenance services. By vertical, the access control market has been segmented into commercial, military and defense, government, residential, educational, healthcare, manufacturing and industrial, and transportation. The study also forecasts the size of the market segmented on the basis of 4 regions?North America, Europe, APAC, and RoW. This report segments the access control market comprehensively and provides the closest approximations of the overall and segment-based market sizes across different components, services, verticals, and regions. 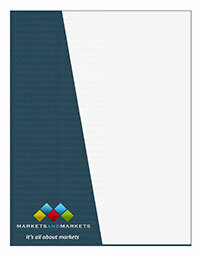 The report would help stakeholders understand the pulse of the market and provide them with information on key drivers, restraints, challenges, and opportunities for the growth of the market. This report would help stakeholders understand their competitors better and gain more insights to enhance their market position. The competitive landscape section includes competitor ecosystem, along with product launches, mergers and acquisitions, partnerships, and contracts strategies implemented by the major players in the market.